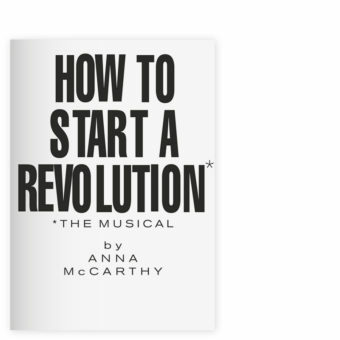 This is the special edition of Anna McCarthy’s publication “How to start a Revolution — The Musical.” It consists of the booklet in a special school-exercise bookcover, 4 signed Riso-prints, a CD with a recording of the musical in a silk-screened sleeve and a huge red pencil. In each booklet, the artist has left individual marks and drawings with the red pencil. Signed and numbered limited edition of 50 copies.